Changing Times in the Youth Game: Should We Celebrate or Cry? US Soccer has over the last four years introduced new licenses, new initiatives and new programs. Now in conjunction with the 55 Directors of Coaching and the state associations, they are introducing two vital changes that all clubs, whoever they are affiliated with, have been told they must follow. It is worth noting and stressing that these new rules and game formats IMPACT EVERYONE, there is no opting out and after the initial phase in period of time ALL ARE EXPECTED to follow. The two mandatory initiatives that are described as BEST PRACTICES until August 2016 and mandatory by August 2017 are presented below. The table below presents the progressions and standards that all youth Clubs must have in place by August 2017 and are suggested best practices by August 2016. 1. Enormous increase in number of touches per game and therefore increased skill development. 2. Field sizes and distances that their developing young bodies can actually deal with. 3. Tactical problems 2v1, 2v2 3v2 that their developing minds can cope with more readily than the chaos of 11v11. 4. More touches is more fun as it leads to more direct involvement in the game for all players. 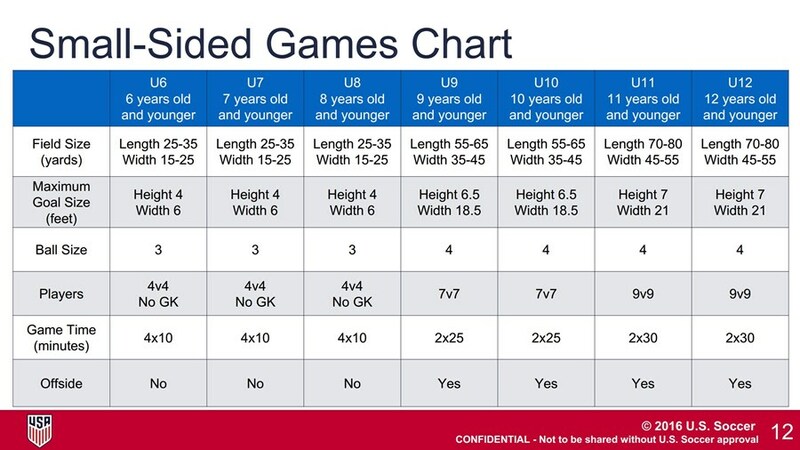 The hidden agenda and one that I doubt will prove to be true is the belief that a move to the suggested progressions will somehow help to ensure that player development, as opposed to the win at all costs nature of the majority of youth games, starts to prevail. Having recently been part of a good number of webinars as the new standards are introduced, I can honestly say that no one is going to scream and shout if a goal is 1 or 2 feet too big or too small or a field is three or four yards out in size. What is expected and demanded by US Soccer is that by 2017 the overriding principles contained within the SSG initiative are being followed. Personally, I believe that standards are a good thing that will lead to greater player development, more fun for our players and as a consequence, more skillful players as they grow. I particularly like the idea of a “build out line” at the U9, U10 age to attempt to get this age group to play a possession-based game. I have concerns that the field size at this age 47 by 30 is a little small but overall I am willing to support and embrace change as I cannot help but believe that we can longer live with 70% leaving the sport by 13. Change must be tried and perhaps this move to small-sided games throughout the country will be the tipping point that the game drastically needs. By August 2017 all teams must be formed on calendar birth year. The simple objective of this change is to bring a uniform approach to youth and national team programs. 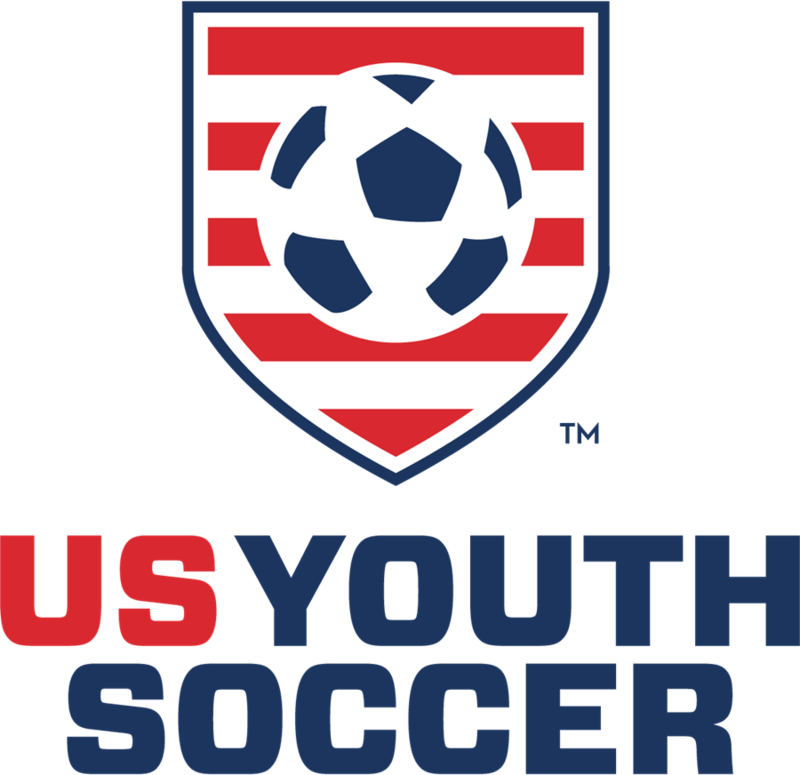 Although perhaps painful for a short while, this move to age group and birth year conformity is another much needed change that will help keep the US in line with the rest of the soccer playing world. 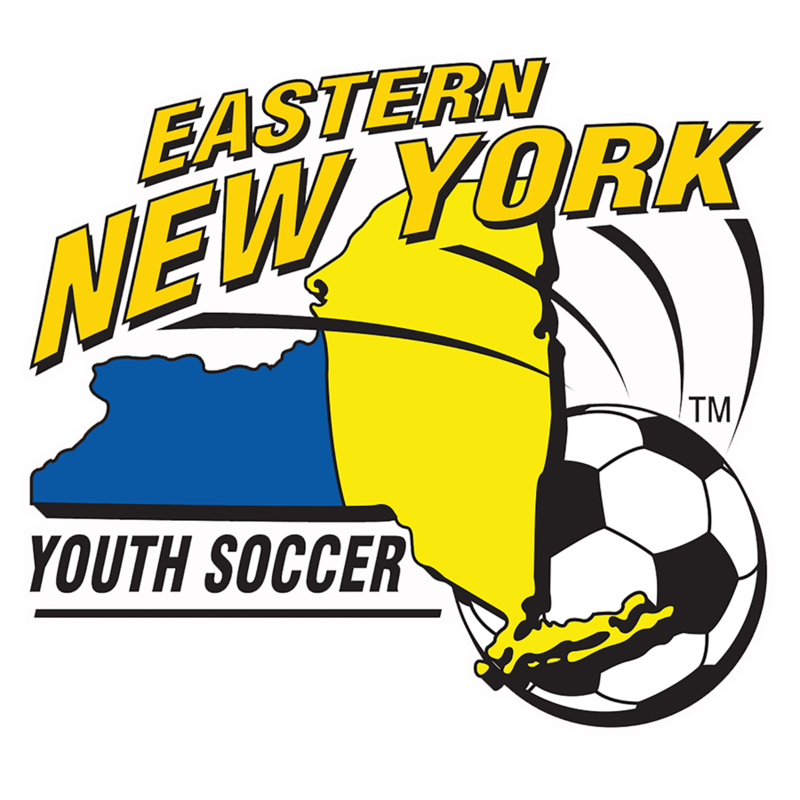 This move will also ensure a level playing field across the states in tournaments and premier level leagues. 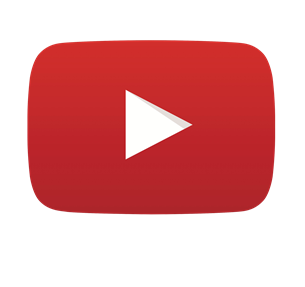 Alternativ​ely please feel free to contact me directly at directorofcoachinginstuction@enysoccer.com with any questions you may have.